1. 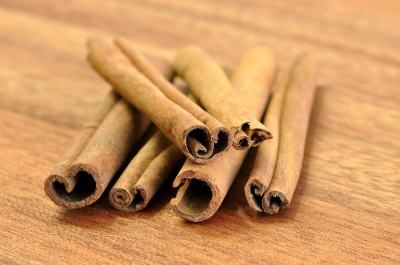 Cinnamon – Known to regulate blood sugar in type 2 diabetic patients, has antioxidant properties, and curbs cravings for sweets. I like to put it into my coffee. 3. Coriander – Reduces blood sugar, increases insulin release, and has anti-inflammatory properties. Although it comes from the herb, cilantro, it has a sweet taste. 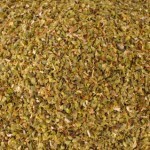 It is mostly used in Middle Eastern and Asian cuisine. 4. 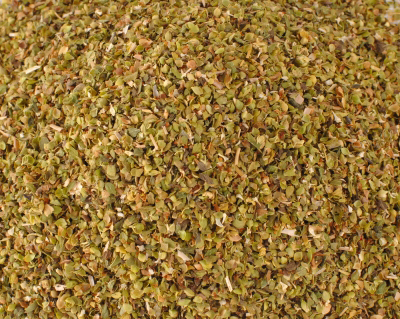 Oregano – Great for spicing up Italian dishes but has 4 times more antioxidants than blueberries. 5. 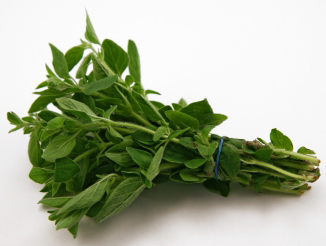 Thyme – This little herb is great to use in soups, stews and sauces. It has antiseptic and antibiotic properties. 6. 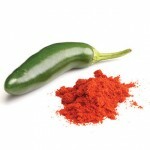 Chili Powder – This hot little number is known to rev up your metabolism. In addition to chili, it’s a great spice for many foods. 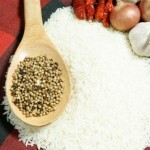 I like to use it in soups and stews, all Mexican dishes, and sprinkled on home-baked fries. 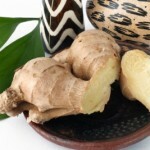 It has potent anti-inflammatory substances. It improves absorption of nutrients. 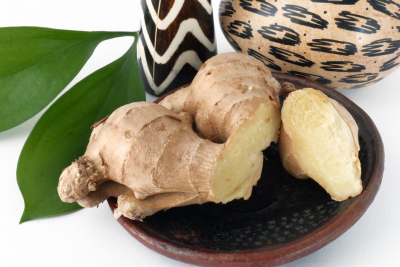 It aids in fighting respiratory problems like a common cold. 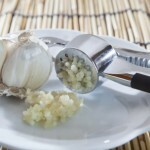 It inhibits fatty deposits in the arteries to aid in stroke prevention. 8. 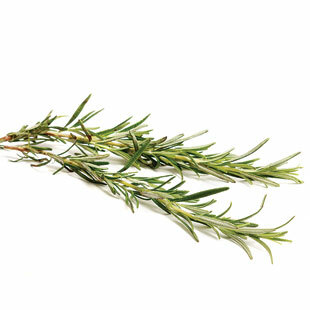 Rosemary – This fragrant herb is known to improve memory, increase circulation, lower blood pressure, and act as an anti-histamine for allergy and asthma sufferers. It works great on beef, pork and chicken. For a healthy chicken recipe, check out Krista’s Lemon and Herbs Roasted Chicken. 9. 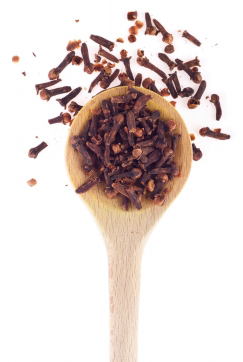 Cloves – Eugenol, the primary component found in cloves is known for its anti inflammatory effects. 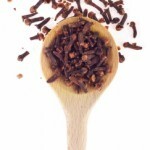 This makes cloves a perfect spice for people who suffer from auto-immune diseases, such as rheumatoid arthritis. 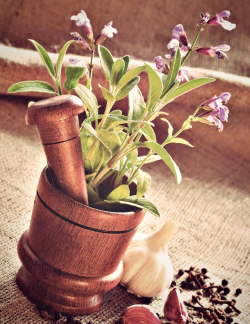 In addition to their anti-inflammatory properties, cloves are also used for their antiseptic and analgesic qualities. Try a little fresh ground cinnamon and cloves on a baked sweet potato. Yummy! 10. 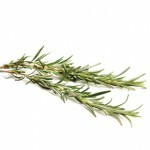 Sage – It pairs well with rosemary and thyme. 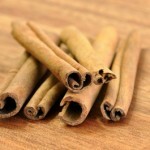 It has been known to improve memory, aid in digestion, and believed to improve the early symptoms of Alzheimer’s. 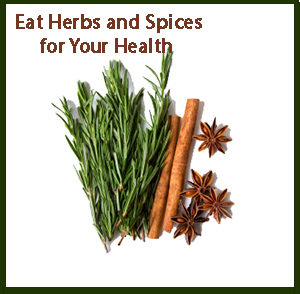 When preparing your food, don’t just think of the health benefits of the food, but think about which herbs and spices you can use to improve your overall health. 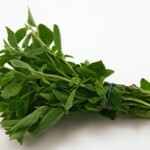 Try using fresh, whole herbs and spices when possible to chop or grind. 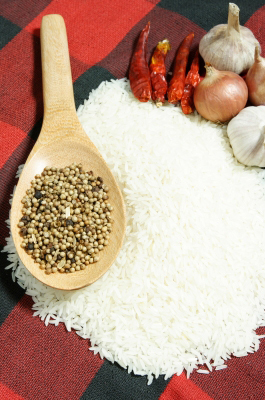 If you choose to use pre-packaged herbs and spices, just make sure they are fresh. I hope this list helps you in making healthy food choices for you and your family. What are some herbs and spices you like to use? 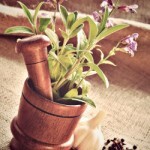 In what foods do you like to use these 10 herbs and spices? 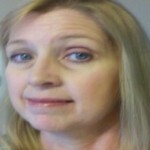 I would love to hear from you with your opinion or comments. Happy Cooking! Thanks for the tips! Never knew some of the things you mentioned about these spices!! You’re welcome. I’ve learned a lot too. Who knew? 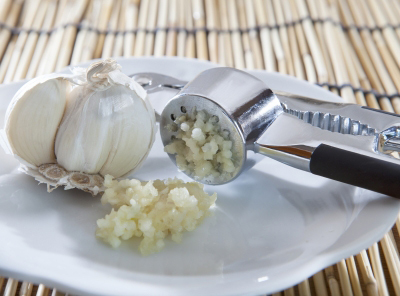 I’m glad I love both cinnamon and garlic (but never together).